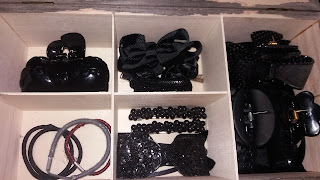 I've been developing a bit of an obsession with hair accessories, the collection hasn't been too expensive. The only problem, I'm having is finding things I like. My growing collection of hair clips. I bought a cheap pack of hair clips for 39 pence from Home Bargains, with the intention of making more hair clips. 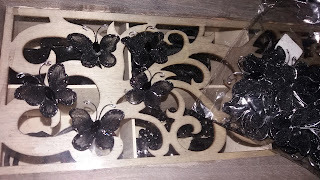 I purchased black butterflies with plastic gems attached to their abdomens; they were so pretty and love butterflies. I bought the pack from eBay for £1.85 a pack of 50. The pack were an amazing bargain and good quality for the money. 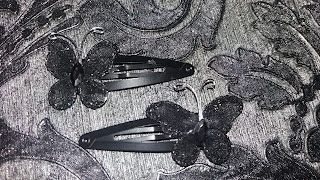 The clips were so easy to make, I applied super glue to the wide side of the clip and stuck the butterflies on the clip. I gently held for a minute using the tip of my finger and placed on a flat surface to dry. I recommend leaving them for fifteen minutes to dry. I adore them, altogether cost twenty-three pence to make. I've seen similar ones in Claires Accessories for £3.50. Great job! Hair clip day was a big thing when I was a kid but it's been ages since I did it! I dunno where it's came from but all I know is I'm loving hair accessories and fancy making more at some point. I find it difficult to style my hair. I often prefer having my hair but sometimes when its my hair gets in the way of my face. I like using the slide keep the hair out my face. Those are beautiful! 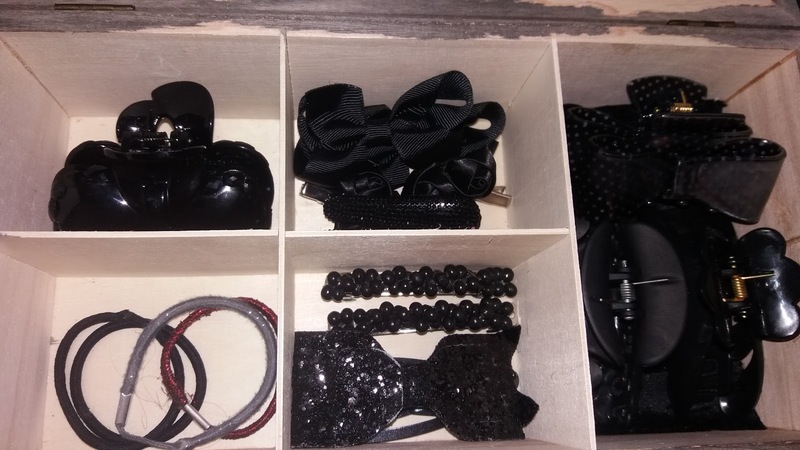 I realy like hair accessories too! Thanks you that's so sweet.